Handmade IGNIF fireplace cassettes have always been characterized by the simplicity of usage coupled with high heating efficiency. From the very first model, we aimed at making them practical and ideally fitted to the already existing open hearths. 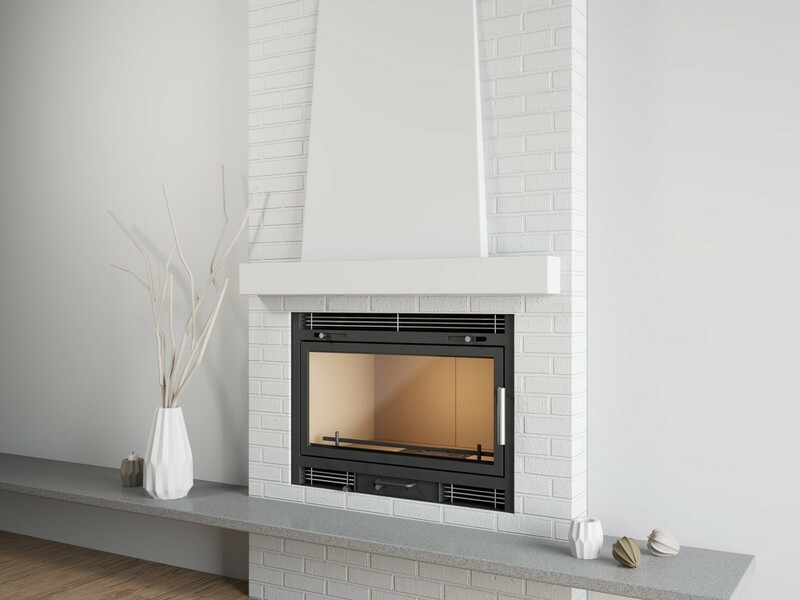 Now, thanks to the new steel structure, the lining of even higher quality vermiculite and convection, your open hearth will acquire a completely different character. 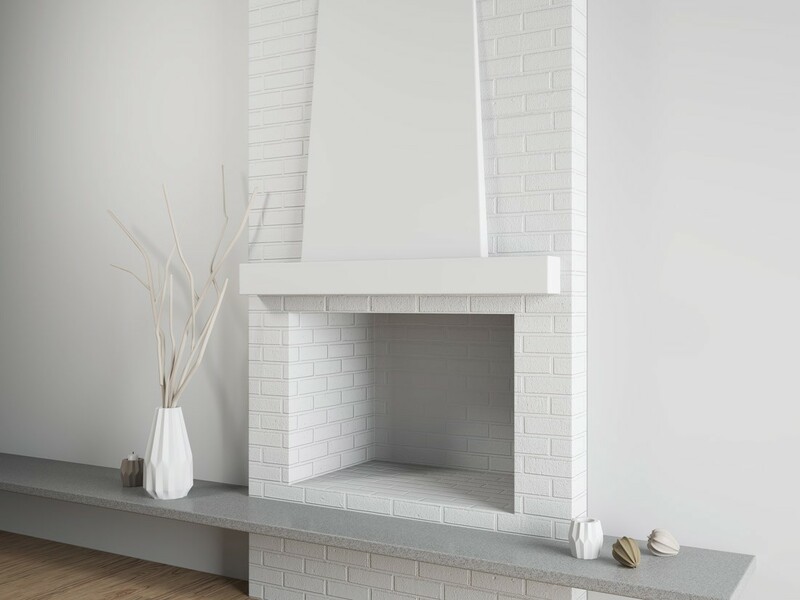 Calling it a new fireplace is simply not enough. This sort of hearth will give the new looks to your house within couple of seconds. While designing our fireplace cassettes we decided to apply a double steal coating. Double side and back panels give heating effects unattainable for single-coated fireplaces. It is between those two sheets of steel where the air heats up, and when released – give the temperature to the room. All thanks to convection and gravity. While considering closing of the open hearth, in majority of cases the most important issue is to avoid serious renovation and construction works. 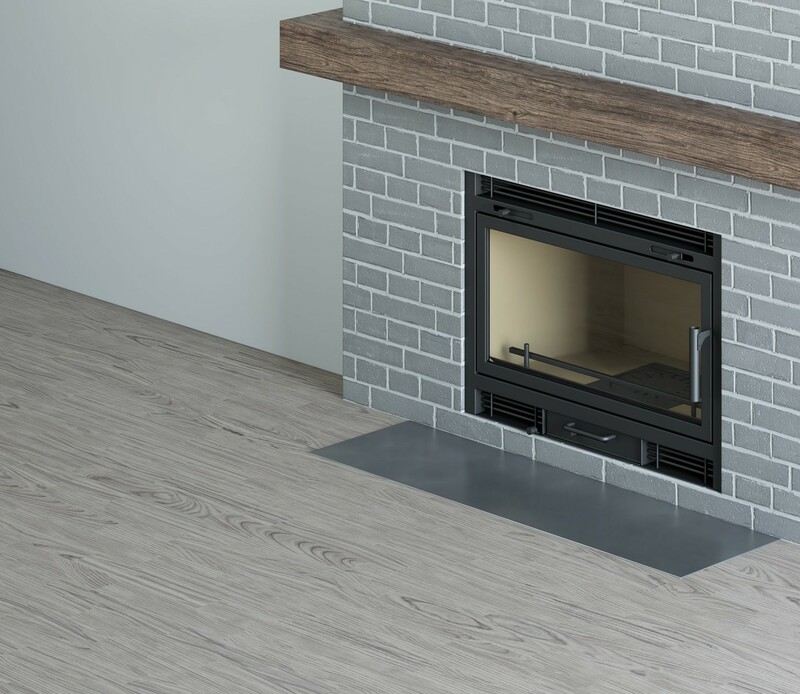 Contrary to the traditional fireplace inserts, where installation involves the demolition of the existing one, followed by construction of a new structure, IGNIF fireplace cassettes are ideally suited for the already existing open fireplace. The shape and the size of the existing hearth doesn’t really make any difference. All you need to do is to insert the cassette into the hearth and seal everything with a glass cord. The cassette is in no way directly connected to the fireplace, so the assembly takes only 5 minutes! Paired with double steel coating they are truly top notch solution. Made of seamless pipe, the convection tubes allow to increase the intensity of the flames flow. When heated to very high temperatures, they give away the heat to the air released as well as improve the heating efficiency of the cassette itself. Using much less wood then before, you will feel an amazing difference when it comes to the temperature of the heated space. We did not forget about accessibility either. The inspection hole located between the tubes provides easy access to every corner of the hearth. We did not forget about accessibility either. The inspection hole located between the tubes provides easy access to every corner of the hearth. 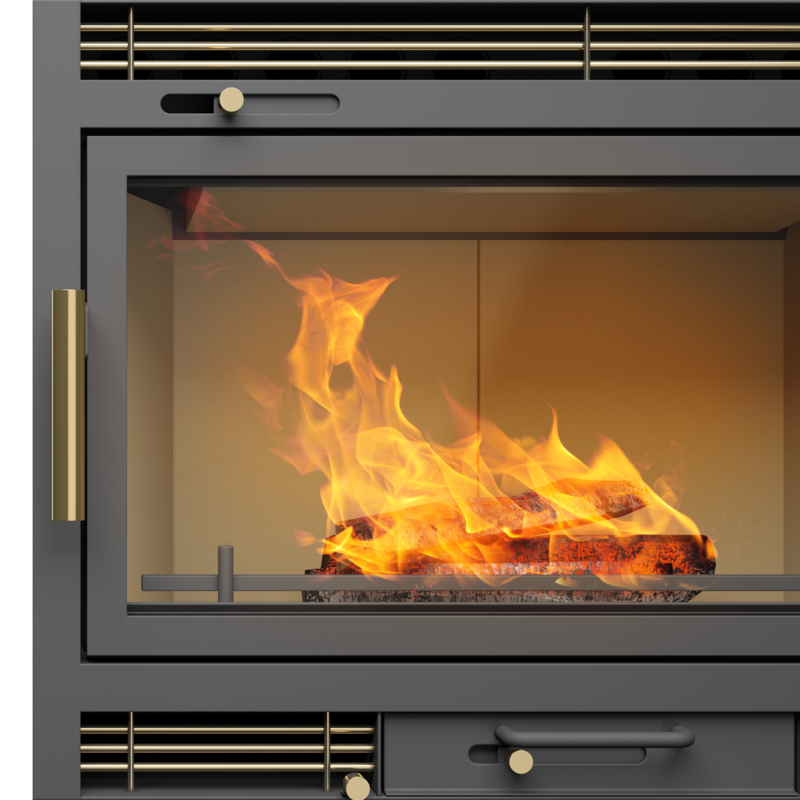 The lining of the IGNIF fireplace cassette is made of vermiculite panels, which, in comparison to chamotte, offer far greater temperature of combustion. In addition, the upper part of the cassette contains three plates arranged diagonally – one internal (deflector) and two external ones located above the convection tubes. 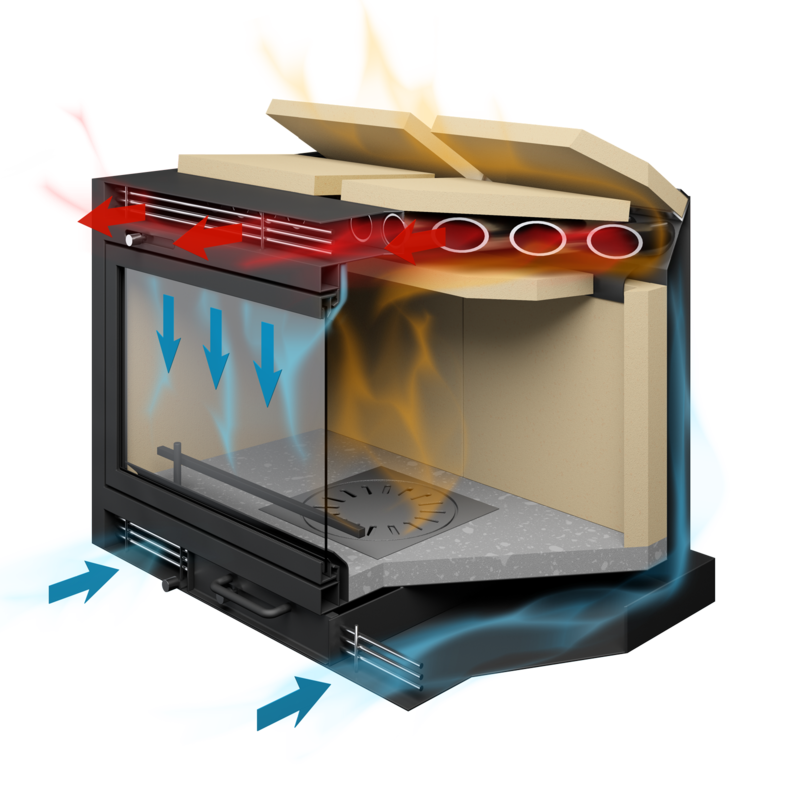 Due to this solution, the temperature inside the fire box is increased even further, the flame path is extended, and the cassette efficiency increases to over 80%. 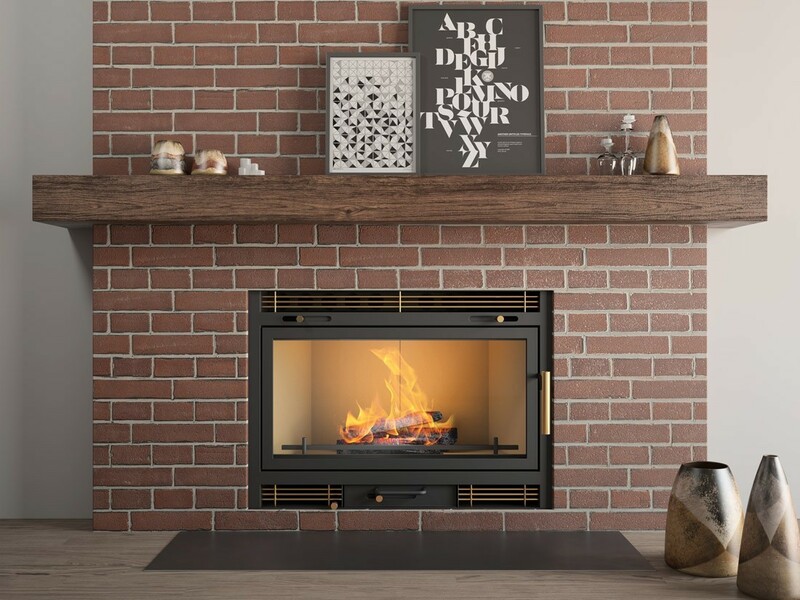 Now the cassettes offer the efficiency that had previously been reserved for fireplace inserts only. Should any of the panels get damaged, the broken part can be replaced quickly and easily. Alternatively, if the client decides so, we can replace vermiculite with chamotte. Clean Glass – Impeccable clarity. Each of our hearths is equipped with the Clean Glass system, specially designed to direct the air stream on the glass at the right angle, so that there is less smudges. To achieve that, our engineers designed two independently regulated air inlets located at the upper rim of the cassette frame. Thanks to this solution, it is up to you to decide how much of the clean air is going to be directed onto ceramic glass at particular point. A cast iron rotating grate is the heart of the cassette. The main task of the grate is to deliver air to fire box from below. 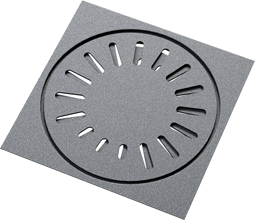 The normal grate, however, does not stand comparison to our solution. Without the need to open the door, you can clear it of the ash and even rearrange the wood logs if needed, with just one flick of a hand. No matter how long and how intensely you use the fireplace. We can claim our grates are unbreakable. 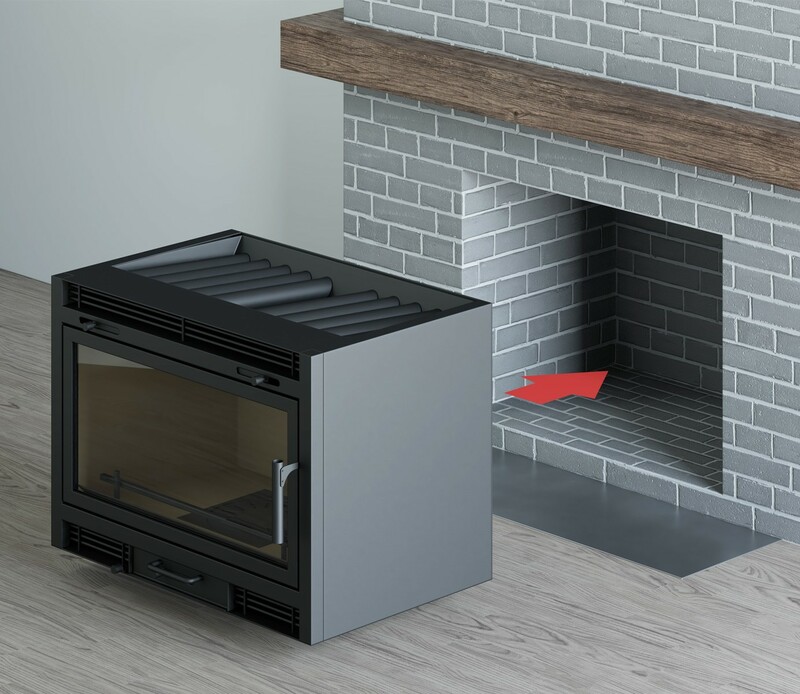 Owing to the ash pit drawer, you can remove the ash easily, while still enjoying the fire. What is more, when you open it slightly during setting the fire, you get additional supply of fresh air to the fire box. 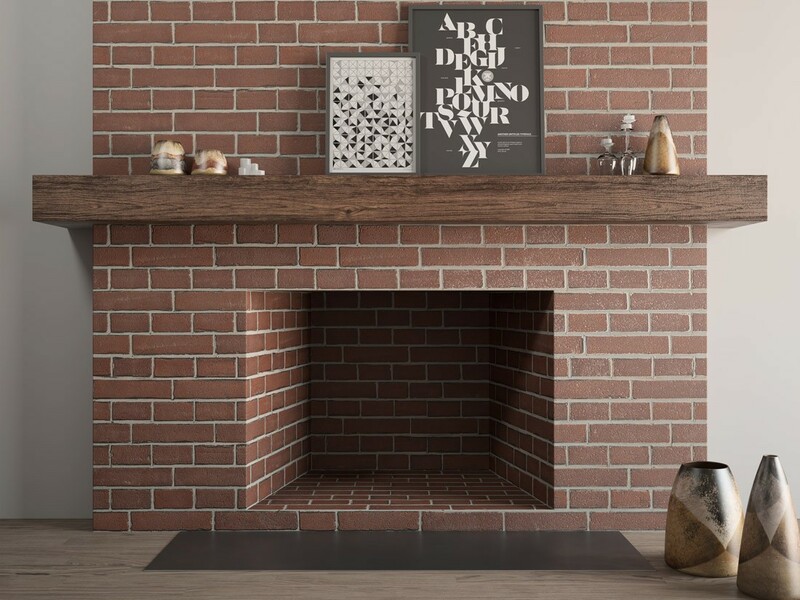 Ornaments – more than anything else they set the style and give charm to the fireplace cassette. 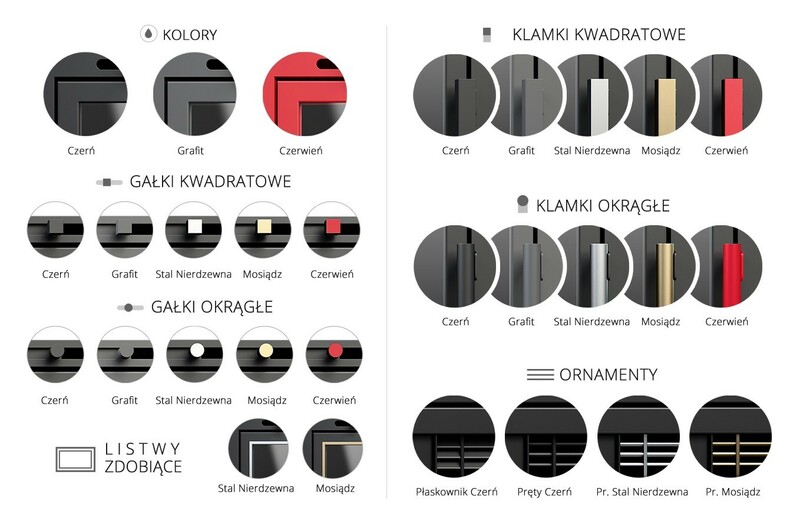 The option to choose between several patterns, the different colours and the material they are made of – now, more than ever, you have the opportunity to create a perfect fireplace you always dreamt of. Since the ornaments can be taken out both from the top and from the bottom, taking care of the cleanness of the fire box inside the cassette presents no problem at all.